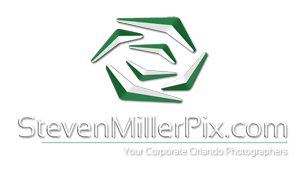 Steven Miller Photography has been photographing events and trade shows not only here in Central Florida, but nationwide, including Maryland, Massachusetts, New York, and even Las Vegas! Our portfolio includes and specializes in weddings, engagement sessions, corporate events and trade shows, professional head shots, family sessions, interior room shots, and modeling. We take pride in our fusion of contemporary and edgy style, accompanied with a very down-to-earth personality. We offer highly competitive pricing to fit your budget, and will work with you to build your custom package! Most of our work is showcased on our corporate page as well as our blog. We showcase all of our past events and projects, allowing you to get a feel for our photographic style and also get some insight into some of the great local Orlando vendors and venues we work with. If you have any questions for us or would like to inquire about our photography services or Orlando Wedding Packages, please do not hesitate to contact us via email at smiller@stevenmillerpix.com or give us a call at 407.504.7314. If you are inquiring ab0ut our wedding packages, please visit us at www.StevenMillerPix.com/weddings for more information. We look forward to meeting and speaking with you, and thanks so much!